Learning how to bottle honey is a sweet job for every new beekeeper. It’s one beekeeping chore that we always love doing. For many beekeepers the honey harvest comes during the second year of beekeeping. The honey harvest is exciting. Months of planning and hard work have gone into making a crop. 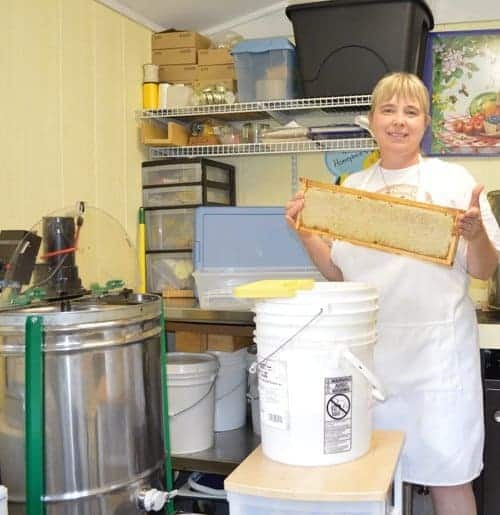 A good honey crop is one of the first “big wins” for a new beekeeper. And nothing will ever taste better than your own bottle of honey. During Spring and Early Summer, my honey bees collect nectar to make Wildflower Honey. If I am lucky, I will also harvest some Sourwood Honey from the hills surrounding my farm. Sourwood honey is only produced at higher elevations in Appalachia. The variety of honey that you have to bottle will depends on the floral sources in your region. Honey bees collect nectar from many different blooming plants to make Wildflower Honey. We call this type of honey poly-floral. Honey bees are hard workers. In fact, they work without ceasing to fill their hives while the supply of nectar is abundant. They usually produce more honey than they will need to survive the winter months. True to the saying, Busy As A Bee, the honey bees continue to work as long as nectar is available and temperatures allow flight. After the bees have worked so hard, the beekeeper wants to bottle the honey without loosing any of it’s “natural goodness”. How Much Honey Will A Beehive Produce? In upstate South Carolina, a honey bee colony will produce an average of 60# of excess wildflower honey. This weight of honey almost fills a 5-gallon size pail. How much honey you are able to harvest and bottle from each hive will be vary. No matter where you live, only harvest excess honey. Excess honey is the amount of honey a beekeeper can remove without endangering the winter food supply needed by the bees. I do not rob the honey bees of their winter food stores. The amount of honey that any hive will produce varies greatly from one region to another. Some areas of the United States produce a large honey crop while others have a more modest amount. Remember, beekeeping is farming. Every beekeeper can experience a year when there is no honey crop. And not every hive will produce honey every year. Things go wrong sometimes. Your colony may swarm or have a queen problem. Many issues affect production of honey. The sad fact is that some years you wont have to worry about how to bottle honey. Not every year is a big crop year. Imagine a full box of honey weighing 35-50 pounds filled with thousands of stinging insects. We want to remove the surplus honey without harming the bees or the honey. Meanwhile, the honey bees don’t want to give up what they have worked so hard to make. Can you blame them? I always keep my bee smoker close by but the honey harvest is one time that a smoker is not needed. A wise beekeeper does not use smoke to drive the bees from the honey boxes. Using smoke during the harvest, frustrates the bees and can damage the honey. The use of smoke does cause bees to move away but they also fill up their stomach on the way out. Several products are available for application to the felt. Some of the liquid products used are very foul smelling. 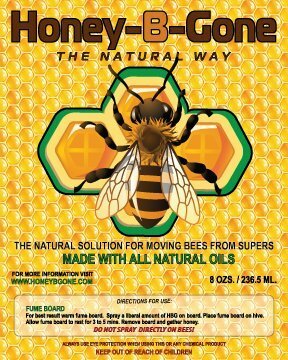 I use a non-toxic mixture of oils and herbal extracts , like Honey B Gone. A small amount is sprayed onto the inside of the fume board. I remove the telescoping top and inner cover. Place fume board on the topmost honey super. Neither the bees or honey come into contact with the spray. The scent is pleasant and smells like cherry-vanilla. However, honey bees do not enjoy the scent and move away and down in the hive. Depending on weather conditions, you should see results in 5 – 10 minutes. I remove the fume board when the majority of bees have left the box I am harvesting. 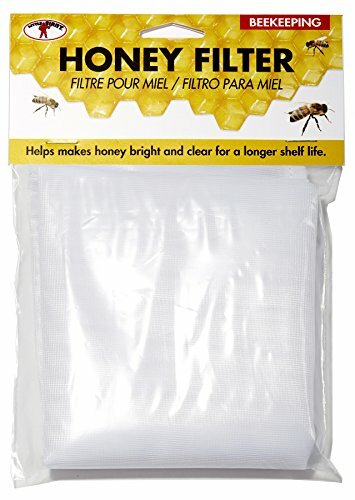 Remove the honey super you are harvesting and cover it with another top, piece of cardboard or canvas material to keep other bees out. Once you close your hive, the bees will quickly resume normal activity. But, don’t be too quick to remove your veil. The bees may be slightly grumpy. I quickly take the honey boxes to my honey house – it is best to cover the harvest box with cardboard or something to keep bees out or they will take the honey back. You may or may not need an inspected location to bottle honey. But, it is nice to have a dedicated spot for extracting and bottling. What is a Honey House? Does everyone need a honey house? No, but its nice to have one. A honey house is a special space used to extract and bottle honey. Most beekeepers prepare a “honey house” in a building near their home that is not used for other family activities. You may decide to process small amounts of honey inside your home. This practice is fine for home use. However, processing honey in the home provides a chance of contamination from other food items. And, oh my goodness, it is messy. Very messy ! Maybe you can invite friends or neighbors over so they can learn how to bottle honey. It teaches an appreciation for all the hard work that is involved. And the extra helpers may come in handy. A word of caution, It is illegal to process honey for sale in a private home in some states. 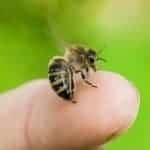 The beekeeper should check the honey house rules and regulations pertaining to their area . My small honey house is actually a separate building inspected and approved by the state of South Carolina. Each state has different laws regarding the bottling of honey that is intended for sale to the public. 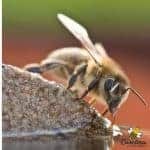 Do you care where and how your beekeeper chooses to bottle honey ? You should care a great deal. Honey is a food product . I care very much about the cleanliness of any area that is bottling something I will purchase to consume. Do not be afraid to ask questions when choosing a honey supplier. Of course, at the end of the day you will have to depend on the integrity of the beekeeper. 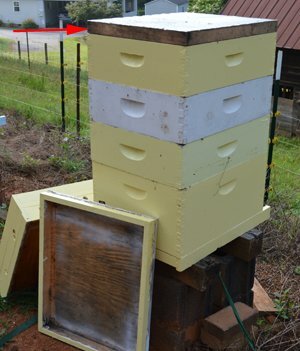 Most honey boxes(supers) contain 9-10 frames of honey. When the honey is ripe, the bees cap each cell with a wax cover to protect the precious product. Once the boxes are safely in the honey house, we remove the wax capping from each cell of honeycomb with a knife or cappings scratcher. Learning how to harvest and how to bottle honey properly is an important aspect of beekeeping. Later, these wax cappings are cleaned and melted. Many lovely wax items can be created from the leftover wax. My goal is always to minimize waste and each hive product has a use. If you live in an area of very high humidity, you may want to use a honey refractometer to ensure the honey is under 18.6% water content and ready to harvest. 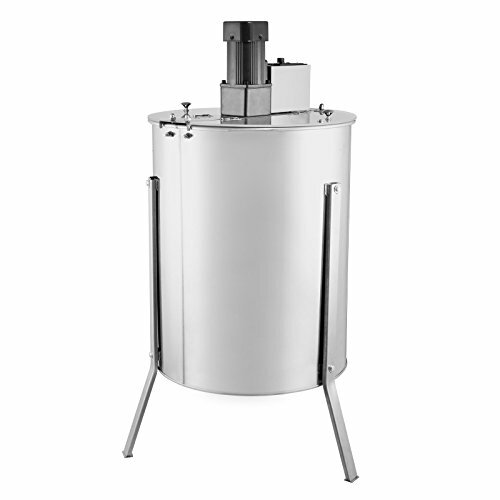 The honey extractor will spin causing the liquid honey to be expelled from the honeycomb. The fresh wildflower honey will flow out of the honey gate and drop through a coarse strainer into the bucket below. Spinning continues until the flow of honey diminishes to a trickle. Then, the extractor is stopped – empty frames removed and full frames inserted. This process repeats for each box of honey. It is normal for me to spend many hours in the honey extraction process. If a beekeeper has only a couple of hives, he may not require an extractor. Some beekeepers do not have an extractor or choose to not use one. That’s okay. 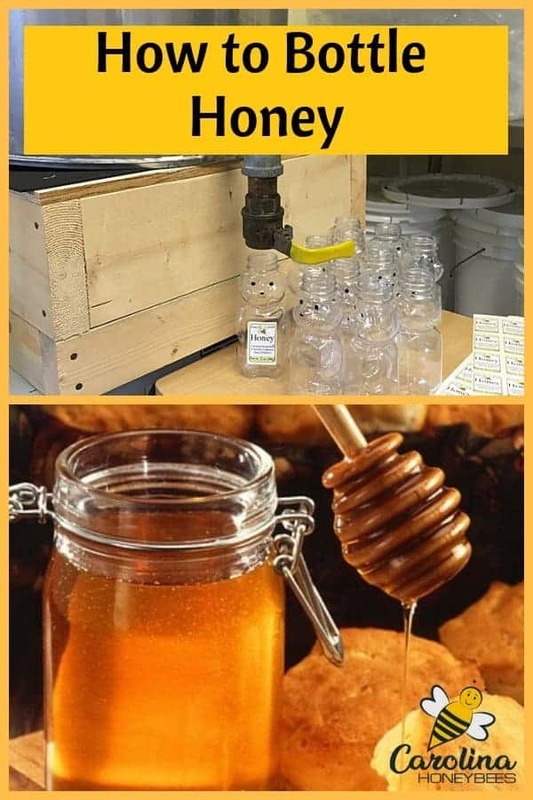 You do not have to buy an extractor to harvest and bottle honey. They use a knife to cut the honeycomb from the wooden frames into a large pan. 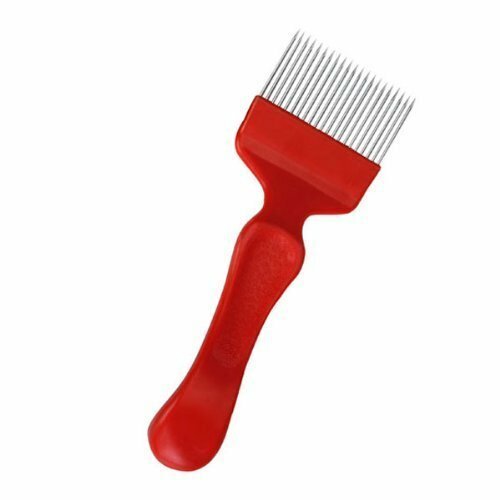 The comb is then crushed. 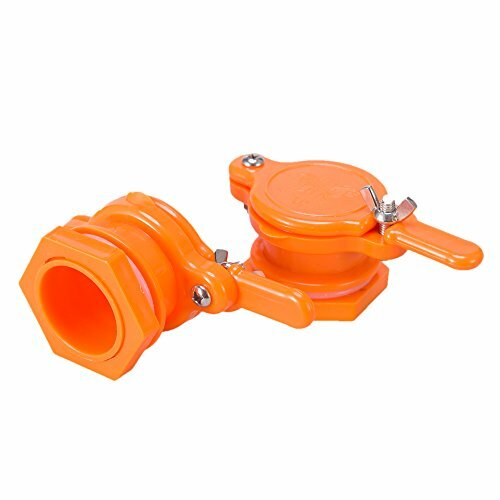 This breaks open the wax cells and allows the liquid to drip through a piece of cheesecloth or other straining material. This is a proper method of honey harvesting. 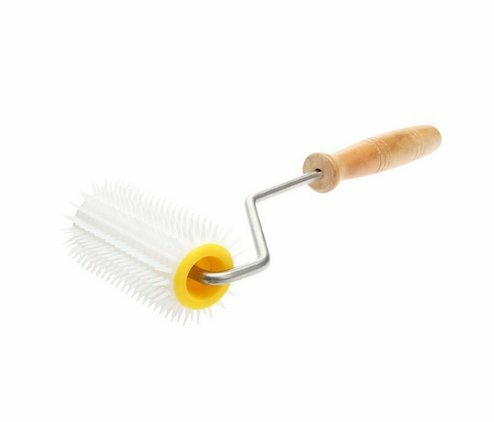 It does not require expensive equipment but it does take longer and requires a warm room to allow the honey to drain from the comb. You will have more excess wax to use for project such as candles, etc – but your bees have to build out new comb for next year. Once your honey has dripped into a clean food grade bucket. (Either method of separating the honey from the comb will require a clean bucket for storage.) A tight fitting lid placed on the full bucket of honey prevents moisture absorption. Honey will absorb moisture from humid air. 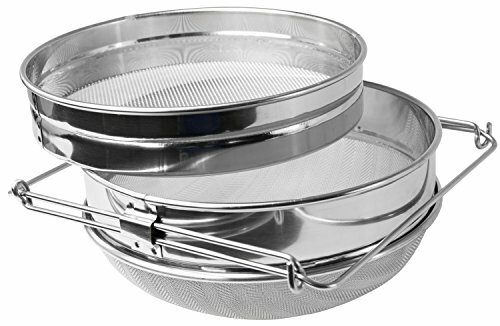 You must keep it tightly covered and you may choose a special easy to remove lid. Buckets of honey are heavy and weigh around 65 pounds each. Because raw honey does not spoil, the honey is stored until it is needed. I marked each bucket with the month and year of the harvest. The beauty of wildflower honey is the great variety of color and taste from one bucket to the next. This is an experience that is missed by a large scale beekeeper who mixes the whole crop together. Yes, the blending does provide a more consistent product for the consumer. However, I delight in seeing light colored honey in one bucket and maybe dark amber color in the next. I take pride in producing true artisan honey that is full of delicate flavors and individuality. Letting the bucket of honey sit for a few days will reduce air bubbles in the finished product. You may see some foam on top of the honey in the bucket. That’s okay. Just skim it off. 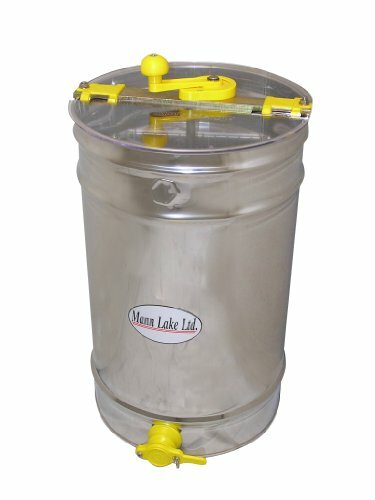 Let’s face it, most of us do not want to have to dip honey out of a 5 gallon bucket. We enjoy having our honey is a more manageable size. Glass jars and plastic bears litter the honey bottling table as I bottle. A label declaring the product weight and source is affixed to each container. Give me a tank of honey, labeled jars and my TV playing a Game of Thrones DVD in the background and I am a happy gal. This task has a peaceful feeling here in the honey house. The end product is removed from the bee yard so I have no fear of stings. However, I never forget that many bees have worked hard to produce this bounty. I try to never waste a drop ! Improper handling can damage honey on its journey from the hive to the table. A thoughtful beekeeper will practice safe harvesting methods in order to protect the integrity of this special product produced by our honey bees. This is why it is very important to be concerned about who bottles the honey you buy and their process. Enjoy great tasting wildflower honey today. You are in for a great experience. Very good information for those new to the process. Since I will be splitting my hives this year to double the number, I will be dividing up the honey between the splits. That is very wise Charlie. The best food for bees is there own honey. Maybe you will make twice as much honey next year !